President Donald Trump’s surrogates tried to clarify his tweeted proposal to bus detained immigrants to “sanctuary cities” Sunday, but left the matter nearly as unsettled as it had been when the president initially reintroduced the plan his own administration had declared dead. White House Press Secretary Sarah Sanders and presidential counselor Kellyanne Conway appeared on This Week with George Stephanopolous and Meet the Press, respectively, to discuss immigration. Sanders endorsed the proposal, but stopped short of saying it would become White House policy to place migrants from the US/Mexico border in liberal districts with self-declared “sanctuary cities,” such as Nancy Pelosi’s seat in San Francisco. White House officials said the plan had been discussed and dismissed; Friday, however, Trump contradicted his staff and tweeted the White House was still “giving strong considerations” to the idea. That meant Sunday, his officials were left scrambling to defend the proposal to weekend show hosts. Sanders promoted the idea as a potential bipartisan win when speaking to Stephanopolous Sunday. “The president likes the idea and Democrats have said they want these individuals into their communities, so let’s see if it works and everyone gets a win out of it,” the press secretary said. However, Sanders was careful to be clear the idea has yet to become a reality. Sanders’ deputy, Hogan Gidley, was not quite as cautious in an appearance on Fox News Saturday. He claimed the White House is already working with ICE and DHS to implement the plan. Trump shared Gidley’s enthusiasm in a series of tweets Saturday night, in which he again advocated for transferring detained immigrants to sanctuary cities and claimed such a transfer is perfectly legal. The Washington Post reported those in Trump’s administration opposed to the idea when it first came up told the president they believed transferring detained immigrants raised pressing financial, legal concerns, and logistical concerns. 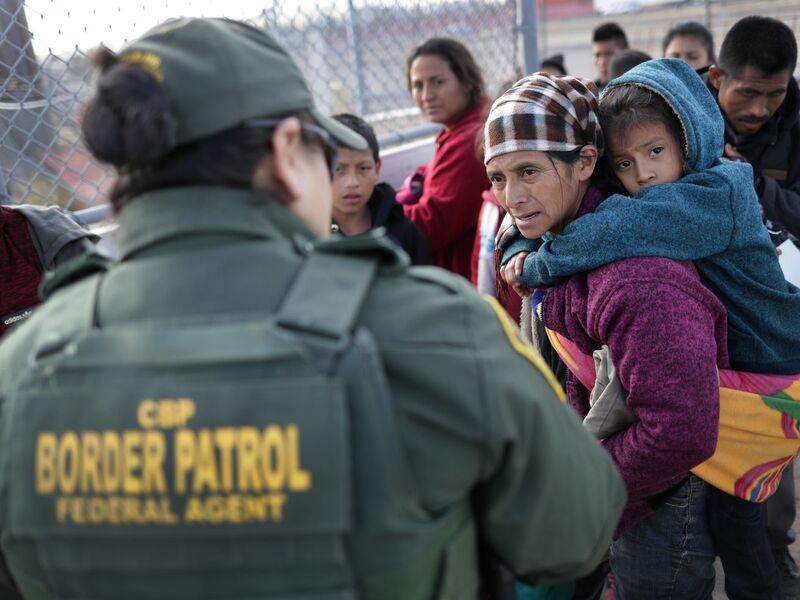 Now, however, it seems the president’s staff may be prepared to reverse-engineer an immigration policy from his most recent tweets, despite the fact that this particular proposal was once rejected as too costly and possibly illegal. On Meet the Press, Conway put the matter bluntly, offering potential immigrants worried about new proposals a solution. As Vox’s Dara Lind reported, Trump’s plan to bus detained immigrants to sanctuary cities betrays a dark line of reasoning. It’s extremely unlikely that he’s genuinely pushing for this because it would make his political opponents “very happy,” despite the tweet. Presumably, Trump believes the opposite of that — that releasing immigrants onto the streets of San Francisco would cause crime and disruption, or that the people of San Francisco are secretly just as anti-immigrant as he is and would freak out if they actually saw immigrants in their neighborhoods. The first, of course, only makes sense if Trump believes his own lies about immigrant criminality — but because those are lies, there would not in fact be massive crime and disruption. The second is harder to disprove but certainly indicates that Trump may not understand that a large swath of the public genuinely doesn’t agree with him about immigration — not just the governments of “sanctuary cities,” but the people who elect those governments. In early April, the president said he wanted to take ICE “in a tougher direction.” His plan to bus detained immigrants across the country could be the next policy to emerge as the result of this decision. While his staff may not have a consistent message on the busing plan, it’s clear that it’s now back on the table for consideration. Can guided tours save Airbnb?